The L.A. Auto Show has become a global hot spot for new vehicle debuts, and the 2015 edition of the show is no exception. Everything from family-friendly crossovers and SUVs, to sporty coupes, to luxurious sedans can be found on the show floor here in L.A., and we've put together this gallery of the must-see models that deserve your attention. 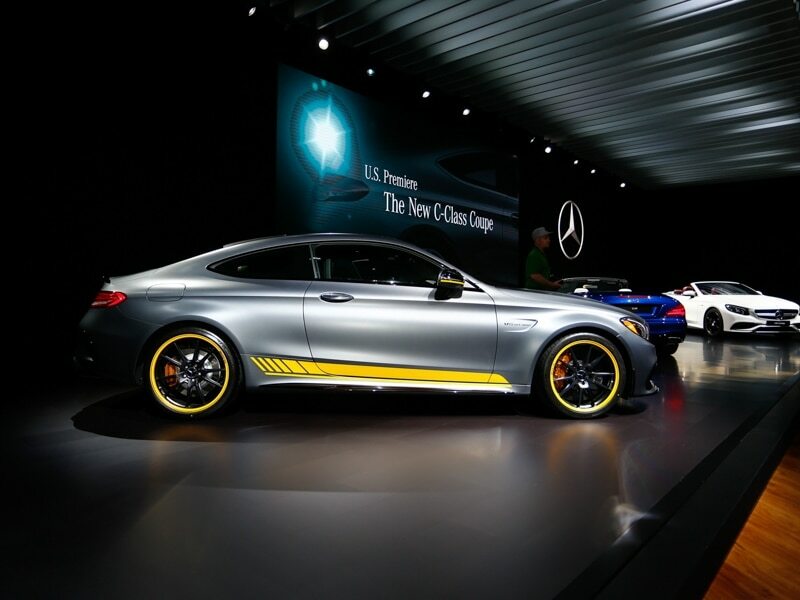 Whether you crave neck-snapping horsepower, opulent interior design, cutting edge styling, or simply daily practicality, it's waiting for you at the 2015 L.A. Auto Show. Check out our editor's must-see picks and see what you think of our choices. The 2016 Honda Civic Coupe joins its previously-released four-door counterpart in Honda's entry-level line-up. Featuring a longer wheelbase and a lower roofline than the model it replaces, the new coupe is also much larger inside, especially in the rear seat where passengers have even more room to stretch out. More aggressive looking than the sedan, the Civic Coupe maintains a similar mix of drivetrains, which means a 158 horsepower, 2.0-liter four-cylinder as the base motor and a 174 horsepower, 1.5-liter turbocharged four-cylinder above it. Each is available with a continuously-variable automatic transmission, while only the 2.0-liter benefits from the availability of a six-speed manual (for now - Honda confirms that they are working on a shift-it-yourself version of the turbocharged two-door Civic). What changed? 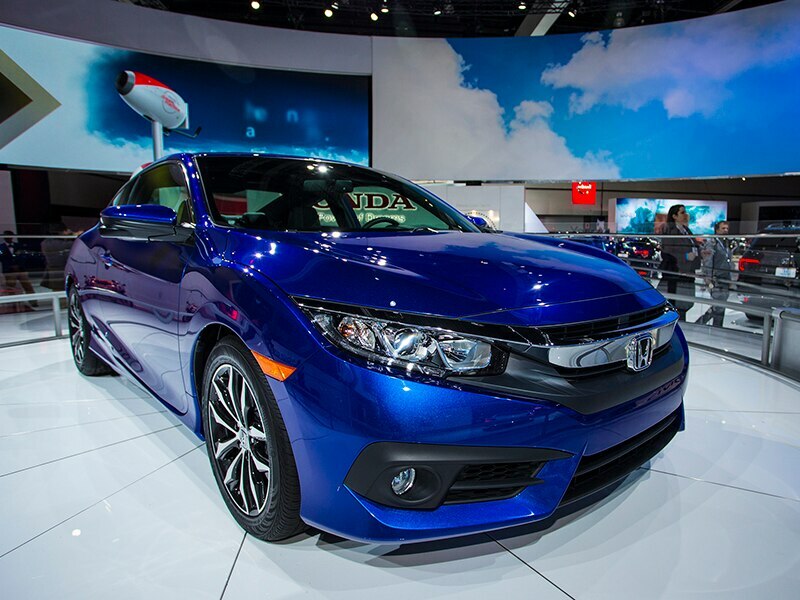 The 2016 Honda Civic Coupe adds a completely redesigned two-door body style to the Civic line-up. When is it available? This coming winter. The 2017 Jaguar XE marks the automaker's return to the entry-level sedan segment, only this time, it's with an entirely homegrown model intended to compete with the best from BMW, Mercedes-Benz, and Audi. The XE also plants a brand-first turbodiesel flag on American territory with the model offering a 2.0-liter, four-cylinder unit that's good for 180 horsepower and 318 lb-ft of torque. Those seeking a bit more punch can avail themselves of the XE's 3.0-liter supercharged V-6 (borrowed from the F-Type S sports car), which pours on 340 horses and 380 lb-ft of twist through an eight-speed automatic transmission, while entry-level editions feature a new turbocharged 2.0-liter four-cylinder motor. Rear-wheel drive is standard with the Jaguar, while all-wheel drive will be available as an option. What changed? The 2017 Jaguar XE is all-new. When is it available? Spring of 2016. How much? 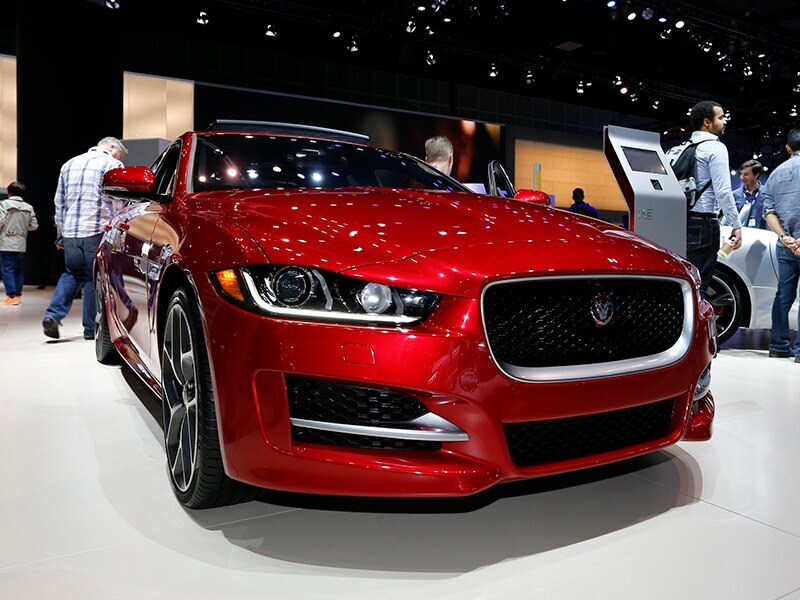 The most affordable version of Jaguar's compact luxury sedan - the XE 25t - features an MSRP of $34,900. 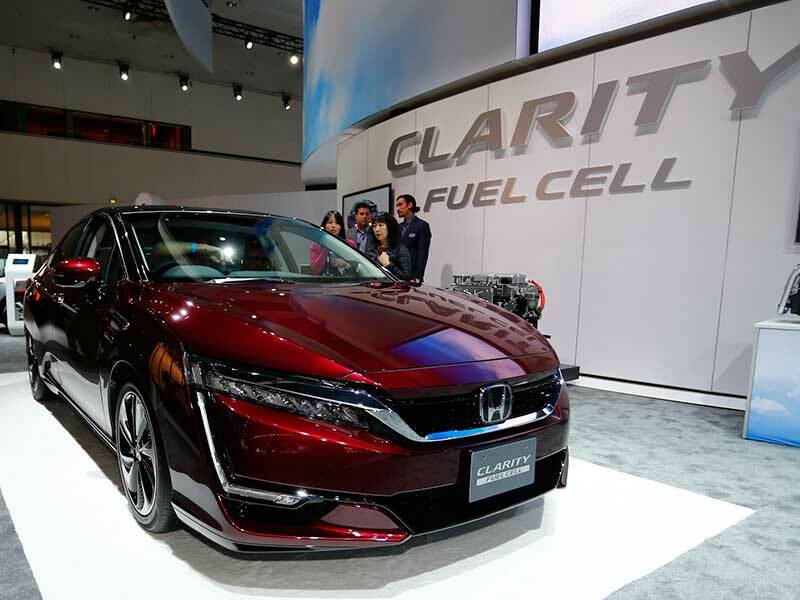 The 2016 Honda Clarity Fuel Cell Vehicle (or FCV) represents the second-generation version of the car company's hydrogen powered sedan. It also flips the brand's styling script on its head: where the original Honda Clarity was relatively innocuous, the new model offers unusual cues such as rear fender skirts, ultra-sharp, and eye-challenging aerodynamics. Hot on the heels of the similarly out-there Toyota Mirai, it seems as though hydrogen car designers now feel the need to stand out from the crowd with futuristic designs - a decision that may limit customer interest. Capable of driving 300 miles on a single tank of compressed hydrogen fuel, the Clarity FCV offers 174 horsepower along with a less bulky drivetrain. Eventually, Honda promises a plug-in electric sedan based on the Clarity's platform (but hopefully wrapped in more graceful sheet metal). What changed? The 2016 Honda Clarity FCV has been completely redesigned. When is it available? Only in California, sometime next year..
How much? No word on pricing from Honda for the Clarity. It’s really here, the 2016 Volkswagen Beetle Dune. We’ve seen the concept before and heard about how it was inspired by classic Baja Bugs, but now the production version debuts appropriately in Los Angeles. Notice how the ride height is raised by about half an inch and the track is stretched by a similar amount. Elsewhere, the large air intakes, polished aluminum rocker panels, substantial rear wing and rear diffuser/skid plate all help to differentiate the Dune model from the rest of the Beetle range. Propulsion comes from a 1.8-liter turbocharged four-cylinder engine making 170 hp. Equipment levels include 18-inch alloy wheels, rearview camera and the latest generation of VW’s infotainment system. Apple CarPlay (or Android Auto) is also part of the package. Ultimately, the Dune will be available as a coupe or a convertible in Sandstorm Yellow, Pure White and Deep Black Pearl. What changed? Nothing, from concept to production model. When is it available? Early 2016 for the coupe; later in 2016 for the convertible. 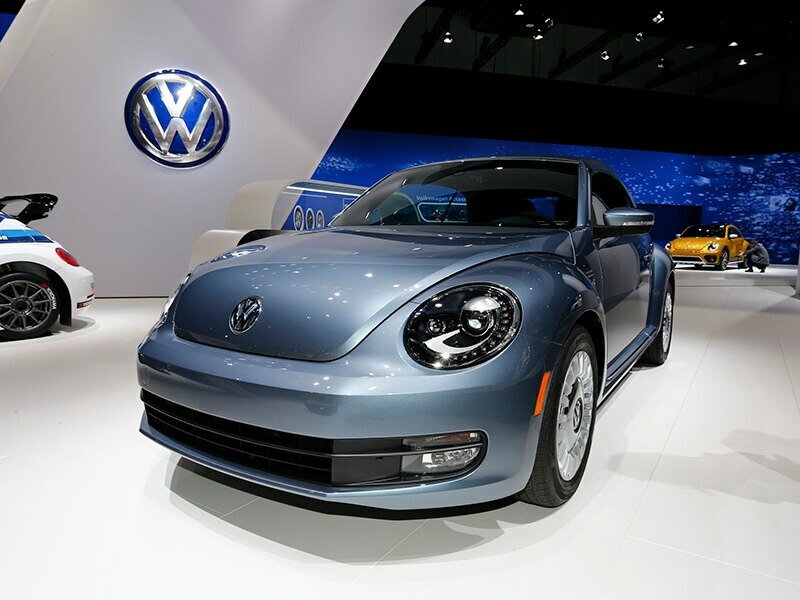 The 2016 Volkswagen Beetle Denim is a rolling homage to the old Jeans Beetle from the 1970s. Production is limited to 2,000 units, split equally into Stonewashed Blue or Pure White color schemes, with a dark blue fabric roof textured to resemble denim. The interior is kitted out with light blue fabric and seat pockets with those little red tabs. 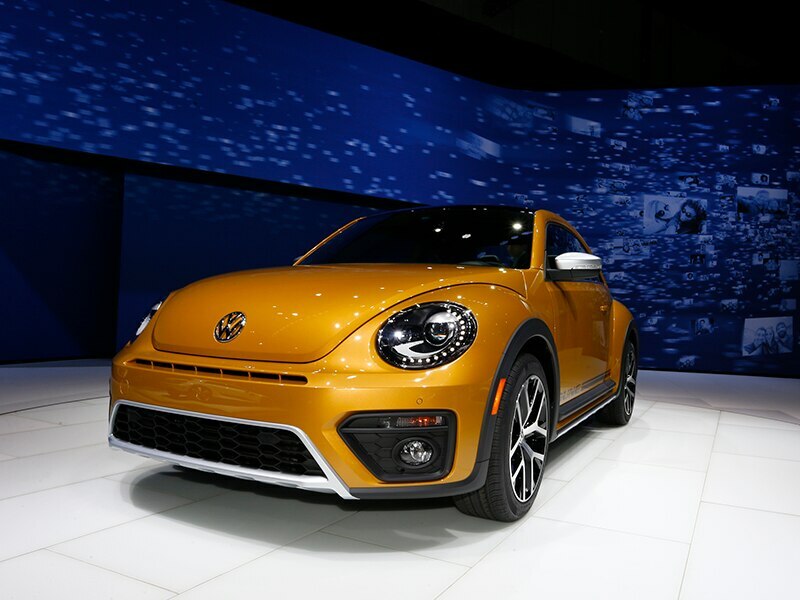 Instead of "Levi," they say, “Beetle.” The Denim edition, first displayed as a concept at the 2015 New York show, employs a 170-hp 1.8-liter turbocharged four-cylinder engine linked to a six-speed automatic transmission. Standard equipment includes a rearview camera, Bluetooth, and the latest generation of VW’s infotainment system. What changed? From concept to production reality. When is it available? Early 2016. How much? To be announced, but VW says this will be a “value model” implying that buying a regular Beetle and then speccing it up to a comparable level as this model would work out more expensive. 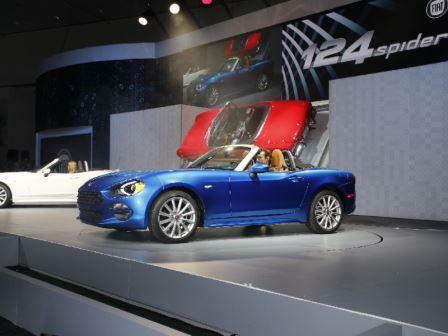 If the 2017 Fiat 124 Spider looks vaguely familiar, that’s because it’s based on the current Mazda MX-5 Miata roadster. It’s principally the front and rear ends that have their own designs, created in Turin. But it’s also good to know that under the skin is an excellent set of bones. 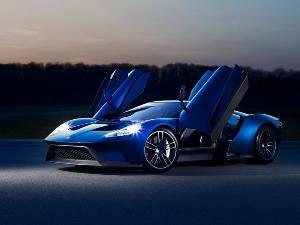 This car launches with a 160-hp, 1.4-liter turbocharged engine. However, excitable rumor-mongering types anticipate a range-topping Abarth version that could have the same turbocharged 1.75-liter engine found in the glorious Alfa Romeo 4C. And the MX-5/124 Spider chassis can easily deal with that unit’s 240 hp. This model and the Mazda are expected to be built in the same Japanese facility. What changed? This is an all-new car for Fiat, reviving a badge not seen for decades. When is it available? Mid-2016. How much? Nothing official yet. Somewhere around $26,000, perhaps. 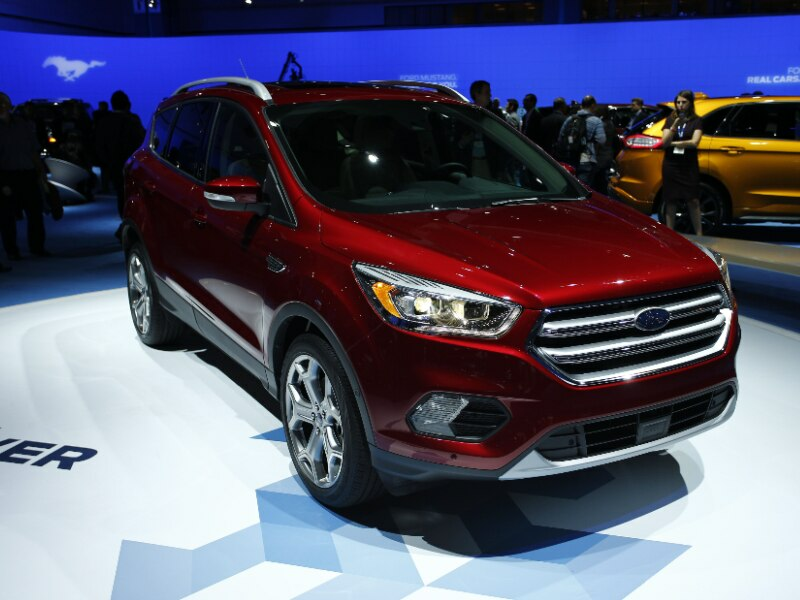 The 2017 Ford Escape marks a mid-cycle refresh for this popular compact crossover. The most significant developments are in the technologies now on offer. This is the first Ford with Sync Connect: the ability to locate the vehicle, lock and unlock doors, and start the engine with a smartphone app. Many safety features are also available, like adaptive cruise control, forward collision warning, lane-keeping assist, and park assist. And just for good measure, there are two new turbocharged engines. A 1.5-liter four-cylinder is now standard in SE and Titanium trim levels, bringing 180 hp. A 245-hp 2.0-liter motor is optional. Both have a start/stop feature for greater fuel efficiency. What changed? Outwardly, there’s some re-styling at each end, bringing a resemblance to the Ford Edge midsize crossover. There are also tech changes, plus a couple in the engine bay. When is it available? Spring 2016. How much? No official pricing yet. The current range starts at $23,450 plus destination charges, so it won’t stray far from there. 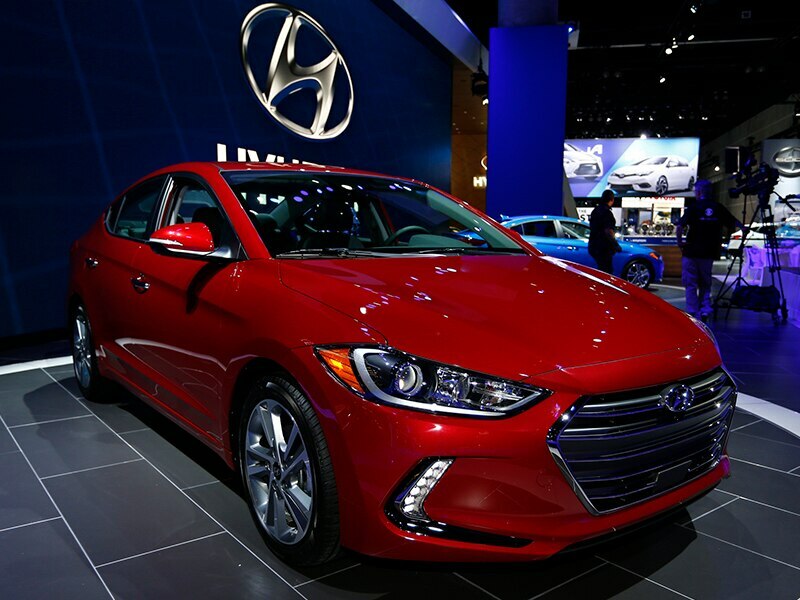 The 2017 Hyundai Elantra comes to the Los Angeles auto show as the sixth generation of this compact sedan. Refinement is paramount, while the car deploys high-strength steel in crucial areas to keep weight down without compromising on safety (it’s expected to earn top crash test scores). Just under an inch longer and wider than the outgoing generation, the new Elantra offers safety and tech features more often found in larger, premium cars. The main engine is a 147-hp 2.0-liter four with claimed average consumption of 33 mpg. A turbo 1.4 is promised for early 2016, good for 128 hp and 35 combined mpg. Variants may follow, such as a GT hatchback and perhaps a coupe. What changed? This is an all-new generation. Note how the styling echoes the larger Hyundai Sonata sedan. When is it available? January 2016. How much? No official pricing yet. The current range starts at $17,250. 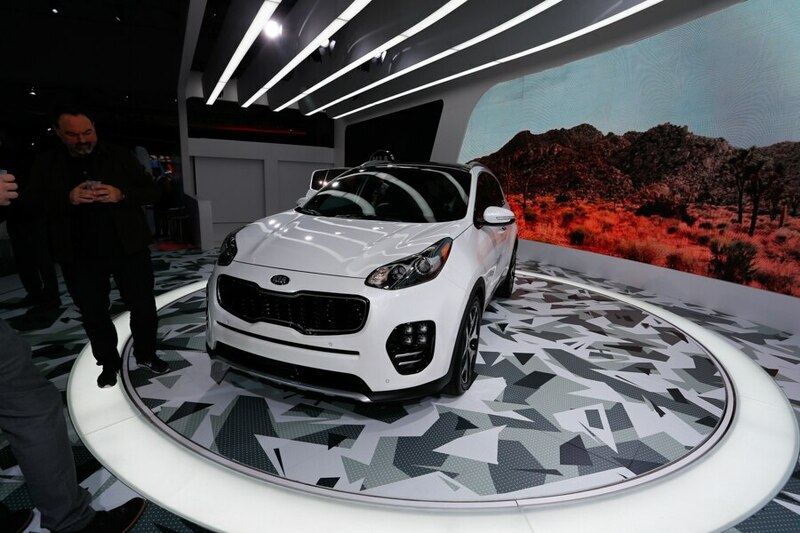 Here comes the fourth generation of Kia’s compact crossover: the 2017 Kia Sportage. It retains the “tiger nose” grille in common with the rest of the Kia range. 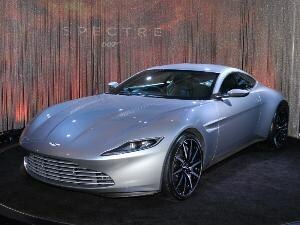 And its design was still overseen by Peter Schreyer (who used to work for Audi and is recognized as an industry great). But it’s longer than the outgoing model: 176.4 inches (a stretch of 1.6 inches) with a longer wheelbase of 105.1 inches, up by 1.2 inches. This bodes well for ride comfort, rear passenger space and cargo volume. Cabin materials take a step up as well, with more soft-touch plastics and cool touchscreens. Levels of noise, vibration and harshness, meanwhile, all go down. Trims are LX, EX and SX Turbo. All-wheel drive is available and so are things like autonomous emergency braking, lane departure warning, blind spot monitoring, rear cross-traffic alert, and Apple CarPlay. What changed? This is a whole new generation, from the frame out and the ground up. When is it available? Some time in 2016. How much? Too soon to say, but mid-20s is probable. Coinciding with a mid-generation revamp, the 2017 Mercedes-Benz GLS-Class takes over from the GL. It remains a full-size luxury SUV that seats up to seven, but because it’s based on the same platform as the S-Class flagship sedan, that third letter becomes part of the name. The company plans to make this the S-Class of the SUV world, with the most luxurious appointments and plenty of high tech to match. There’s also a V6-powered entry level version: the GLS450. It uses a nine-speed automatic transmission, which is in the GLS550 (now boosted to 449 hp) and the diesel-powered GLS350d as well. For ultimate power, the GLS63 AMG now makes 577 hp. What changed? Styling now harmonizes with the rest of the current Mercedes-Benz output. How much? Nothing official yet, but starting at around $65,000 isn’t a bad guess. The 2017 Mercedes-Benz SL-Class wears a badge that’s been a byword for elegant grand touring since the 1950s. So to say it’s had a facelift seems a little undignified, but that’s really the upshot. Automotive cosmetic surgery is invariably far more successful than human and that’s certainly the case here, bringing the front end into line with the rest of the current Mercedes-Benz range while still retaining its own character. 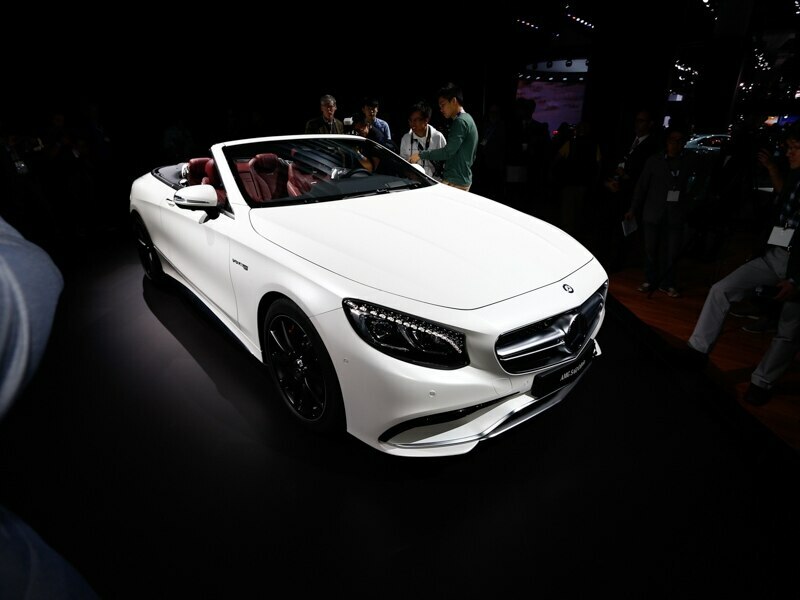 A new variant of this folding hard-top roadster/coupe slots in at the bottom: the 362-hp SL450, replacing the SL400. There’s also a cool “curve” function in the adjustable suspension that subtly tilts the car through corners to lessen the effects of lateral acceleration on the occupants. What changed? Looks and hardware. The SL550 receives a nine-speed automatic transmission along with the V6-powered SL450. How much? The 2015 SL550 model is just shy of $85,000 including destination, so expect to pay at least that amount plus a few options. The SL450 will no doubt be slightly less expensive. The Scion C-HR concept straddles categories. 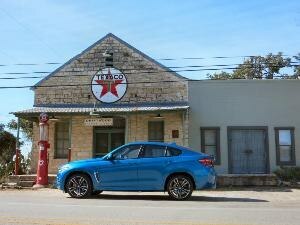 It’s a compact coupe but with the high ride height of a crossover. Incidentally, compact and high ride are the meaning behind those initials. And it’s not destined to remain merely a concept, since the company has already stated: “There’s no doubt this will be the next iconic vehicle for Scion.” It’s already been on display as a Toyota C-HR at the 2014 Paris show and it will be interesting to see how much of the original radical styling makes it into production. Rumor has it the official name will be the Scion iC. What changed? Certainly the badging, from Toyota to Scion. And no doubt a desire to keep the Scion brand alive by giving it a crossover to sell. When is it available? Nothing official, but 2017 wouldn’t be a crazy notion. How much? However much the Nissan Juke costs at that time could be a useful ballpark. In the region of $22,000, perhaps. It’s the North American debut for the Volkswagen Golf GTE Sport concept. This is a plug-in hybrid with a sporty edge and looks like a great direction to go in now that VW has sullied its diesel reputation. On board are two electric motors and one turbocharged gasoline engine: a 1.6-liter four-cylinder. Total horsepower is 395 and combined torque is a fascinating 494 lb-ft. In a lightweight body made mostly of carbon fiber, that’s some sporty output indeed. Good enough for sprinting from standstill to 60 mph in 4.3 seconds and hitting a top speed of 174 mph. The car is all-wheel-drive as well. As is usual with concepts, the design supposedly “illustrates how Golf GT models could develop,” according to Volkswagen. Although it would be difficult to see how this Lamborghini-style scissor doors would make it into in a stripped-down racing version or a street-going counterpart. 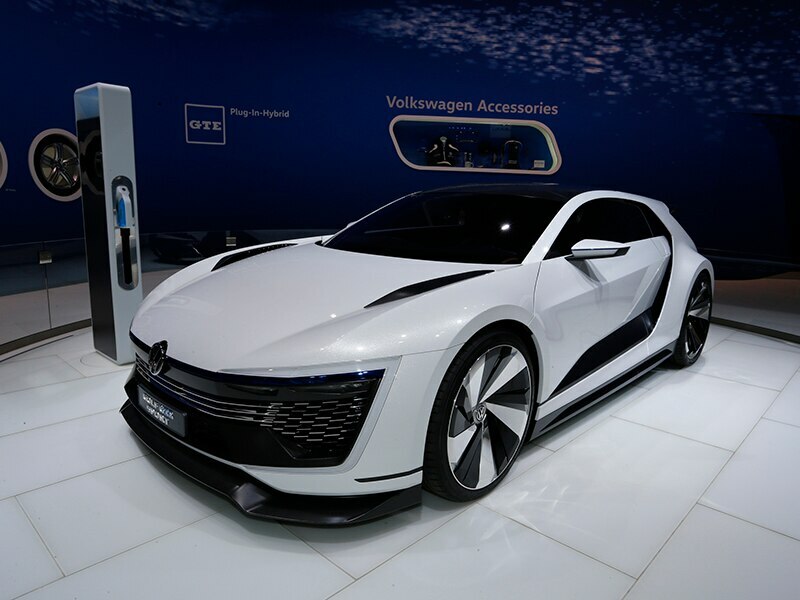 Nevertheless, it shows that VW has the lithium-ion technology and a battery range of 31 miles. The 2017 Jaguar F-PACE opens up new suv territory for a company with history of exclusively building sports cars and sedans. You can choose between either a turbodiesel four-cylinder engine that makes 318 lb-ft of torque, or a 340 horsepower, 3.0-liter supercharged V-6, each of which is matched with an eight-speed automatic gearbox and standard all-wheel drive. Either way, you get significant practicality, cargo space, and room for five passengers wrapped in a luxury package. What changed? 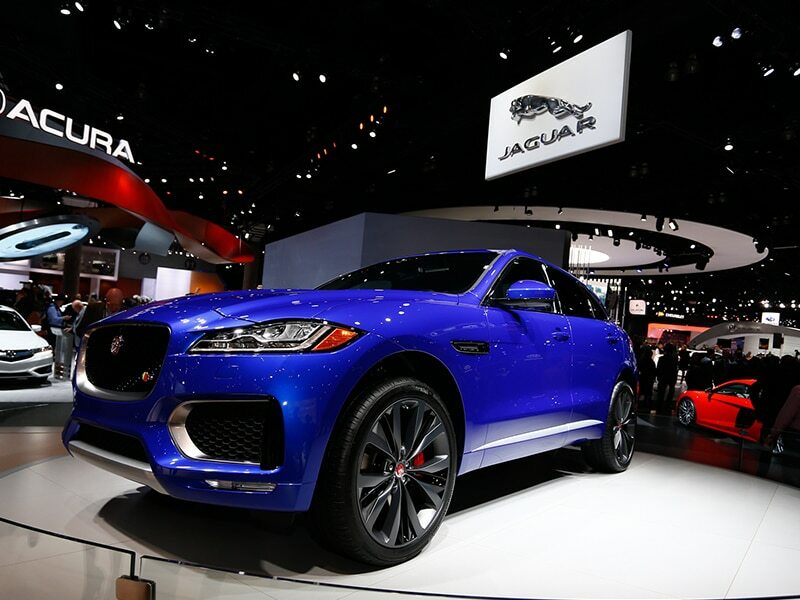 The 2017 Jaguar F-Pace is all-new. When is it available? Second quarter of 2016. How much? $40,990 for the turbodiesel F-Pace, and $42,390 for the V-6. The 2017 Buick LaCrosse is a midsize sedan that straddles mid and full size categories. Now the LaCrosse enters its third generation, while simultaneously introducing “the new face of Buick.” Also, presumably, the marque’s new upscale interior. In the toy department are wireless smartphone charging, eight-inch screen, Apple CarPlay/Android Auto, wi-fi hotspot and a head-up display. In the business department is a 3.6-liter V6 making 305 hp and 268 lb-ft of torque. All this goes through an eight-speed automatic transmission with an “Electronic Precision Shift.” It does away with a conventional shifter and replaces it with a smaller lever, freeing the center console for extra storage. A stop/start function is standard, along with front-wheel drive; all-wheel drive is optional. Safety features include forward collision alert with braking, lane departure warning, adaptive cruise control, park assist, rearview camera, and a Safety Alert seat. What changed? It’s an all-new generation. When is it available? Summer 2016. How much? To be announced nearer launch time. As an indication, the 2015 LaCrosse starts at $31,990 (including $925 destination). 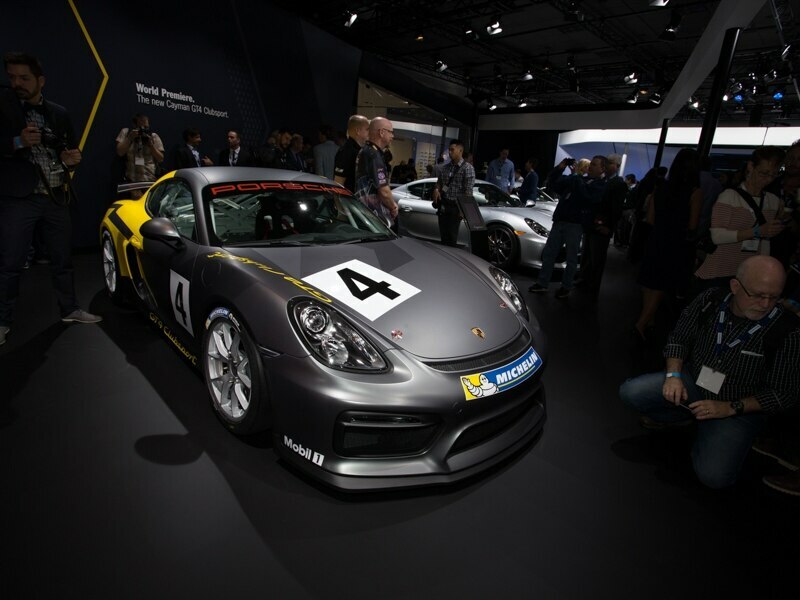 Porsche's first non-911 sports car racing package since the 968 of the mid-90s, the Porsche Cayman GT4 Clubsport acknowledges the sizzling performance of the automaker's mid-engine coupe. Drawing from its 911 sibling with a 3.8-liter, 385 horsepower six-cylinder motor, the GT4 Clubsport isn't road legal but does satisfy privateer racers with its roll cage, lighter-than-stock stripped interior, PDK automated manual transmission, and high speed aero. What changed? The Porsche Cayman GT4 Clubsport is a professional racing effort for track fans ready to make the leap into the professional ranks. When is it available? The car is on sale now. How much? Figure on spending at least $150k to get behind the wheel of a Cayman GT4 Clubsport. The 2016 Nissan Sentra down-sizes the premium-look design of its larger, also-new Altima and Maxima, giving the compact sedan stronger appeal amongst entry-level buyers. In an ever-more competitive part of the market, the new Nissan Sentra now offers the eye-candy required to keep people interested alongside similarly-stylish options like the Honda Civic. Big inside, and with a strong quotient of high tech safety features available, the Sentra still features a 1.8-liter, four-cylinder engine that's tapped to produce 130 horsepower and 128 lb-ft of torque (along with the choice between either a six-speed manual or a continuously-variable automatic transmission). What changed? 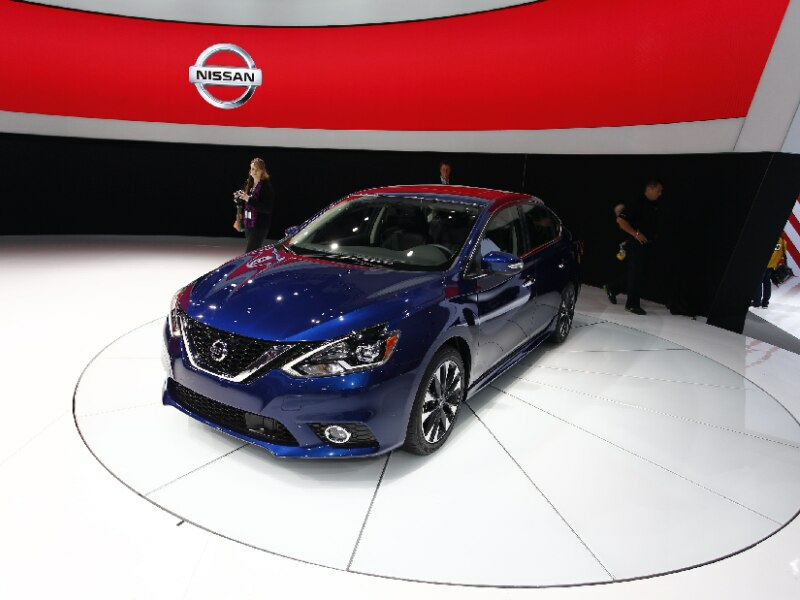 The Nissan Sentra dramatically improves its appearance and features list for 2016. When is it available? Early next year. How much? The starting MSRP for the Sentra is $16,780. The 2017 Porsche 911 Targa 4 is the latest entry in the redesigned 911 line-up that features not just updated looks but also a brand new turbocharged drivetrain. The 3.0-liter flat-six bi-turbo engine sitting at the rear of the 911 Targa 4 produces 370 horsepower in the base model and 420 horses when found in Targa 4S trim, with each vehicle offering standard all-wheel drive. Of course the Targa model maintains the intricate removable hardtop that defines this edition of Porsche's iconic sports car, and a seven-speed transmission is on-hand to assist with the 188-mph top speed of the 4S. What changed? 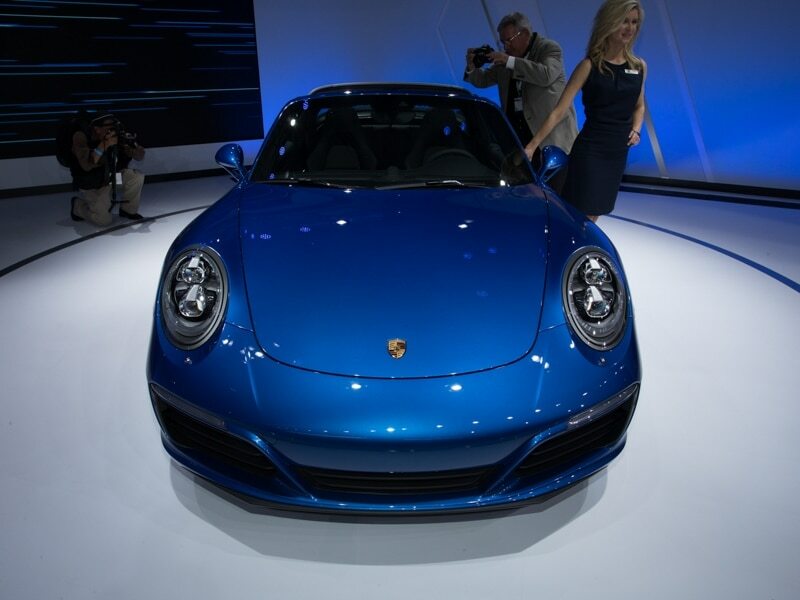 The Porsche 911 Targa 4 moves to the new turbocharged engines offered with other versions of the car, while the 4S also now offers rear-wheel steering as an option. When is it available? April of 2016. How much? The Targa 4 starts at an MSRP of $122,600. What's better than an all-wheel drive Lamborghini? How about a rear-wheel drive Lamborghini? 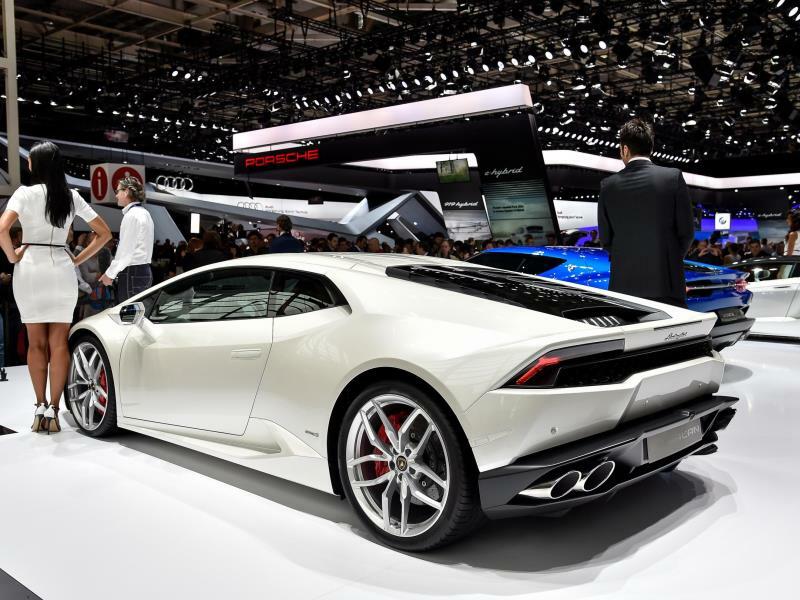 The 2016 Lamborghini Huracan LP 580-2 features the same 5.2-liter V-10 as the LP-610 model only its been tuned to offer more low-end power, with the end result being 580 horses and 398 lb-ft of torque. The switch to a rear-wheel drive layout means a 72-pound weight reduction and a 0-60 time of 3.4 seconds, on its way to a top speed of 198 miles per hour. A seven-speed dual-clutch automated transmission is standard with the Huracan. What changed? The Huracan gets some aero tweaks, loses its all-wheel drive system, and drops a little bit of weight to go with revised engine mapping. When is it available? It's on sale now. How much? The Huracan 580-2 costs $199,800. The 2017 Land Rover Range Rover Evoque convertible goes where the globe-trotting brand hasn't tread in decades: the open-top SUV segment. 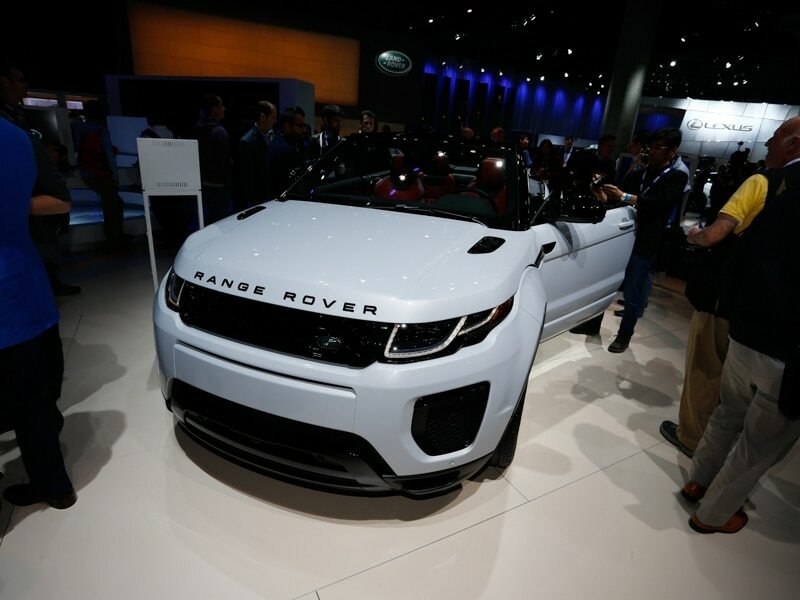 Just when you thought the two-door Evoque was novel enough, the Evoque convertible takes things to a new level by folding back the roof and offering 240 turbocharged horsepower of luxurious four-wheel drive off-road fun. Almost as capable as the standard Evoque, the Land Rover Range Rover Evoque convertible seems destined to draw stares on both the boulevard and the trail. What changed? It's an Evoque without a roof, but everything else matches the standard version of the SUV. When is it available? Mid-way through 2016. 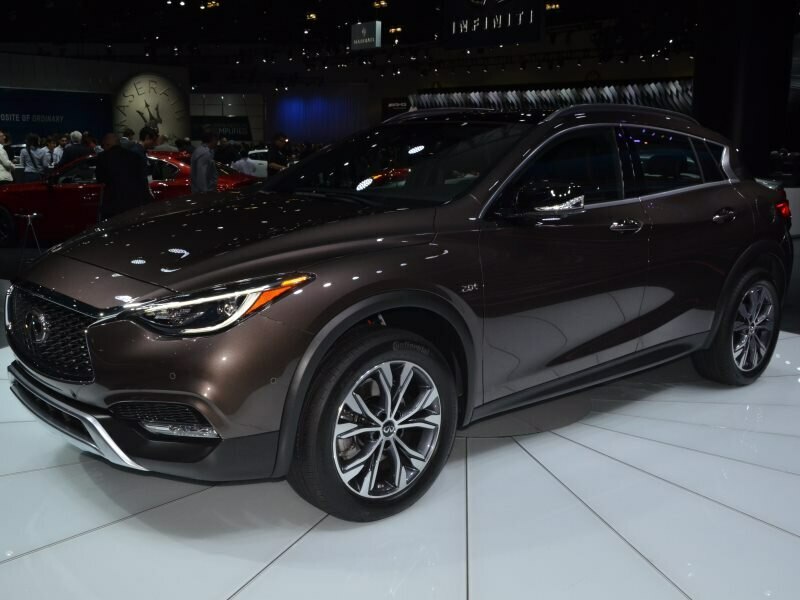 The 2017 Infiniti QX30 is considered by its makers to be a “premium active crossover.” It combines a relatively small footprint with all-weather capability (thanks to an intelligent all-wheel drive system), but still has room for five plus a fairly roomy trunk. It’s motivated by 208 hp from a 2.0-liter turbocharged four-cylinder engine, which is linked to a seven-speed dual-clutch automatic transmission. 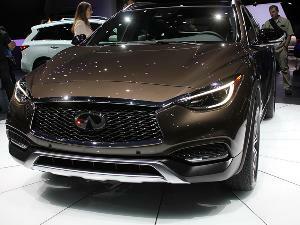 The QX30 is essentially a compact hatchback, but enjoys a raised driving position and a luxurious cabin. What changed? It’s an all-new model. How much? To be announced nearer launch time, but the 2016 Lexus NX200t starts at around $35,000, so that could be a ballpark. We've waited a decade, but an all-new version of the Mazda CX-9 full-size crossover has debuted for the 2016 model year. It's easy to understand why Mazda kept the previous generation CX-9 on sale for so long: this seven-passenger people mover is one of the most profitable, and popular, vehicles sold by the company. Gone is the CX-9's V-6 and in its place is a 2.5-liter Skyactiv turbocharged four-cylinder that's good for 227 horsepower on regular fuel, and 250 if you spring for high octane fuel. This is a step down from the older engine, but Mazda claims it's moving in a more economical direction (and 310 lb-ft of torque help to make up for it). Interior room remains competitive, and styling inside and out has been thoroughly modernized. What changed? The Mazda CX-9 has been completely redesigned. How much? Look for the CX-9 to start at just over $30,000. The 2017 Mercedes-Benz S-Class Cabriolet is an open-topped four-seater based on the excellent S-Class sedan. 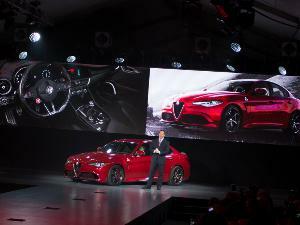 That car is the company’s flagship and a technological powerhouse. This cabriolet enjoys many of those features, along with a few tricks of its own. Like Airscarf, where vents in the front seats direct warm air to their occupants’ necks, pyrotechnic roll bars, and a special climate control system with automatic control of each vent. That’s how much detail goes into this car. The S550 has air suspension as standard and uses a 449-hp turbocharged V8 connected to a nine-speed automatic transmission. The Mercedes-AMG S63 4Matic Cabriolet is endowed with 577 hp which it sends to all four wheels. The 2017 Mercedes-AMG C63 Coupe has the glorious distinction of being the fastest C-Class. It does this by developing 469 hp and 479 lb-ft of torque from a 4.0-liter turbocharged V8. In the grand scheme of things, this would rival the BMW M4 (which has 425 hp). 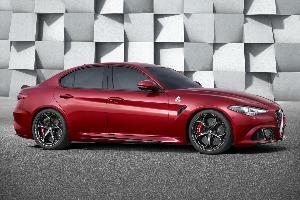 But here’s the twist: there’s an over-and-above S version with 503 hp and 516 lb-ft. It costs another $10,000, give or take a few hundred, but some people just have to have the absolute best and hit 60 mph from standstill in 3.8 seconds instead of 3.9. Both versions use a seven-speed automatic transmission that sends all the muscle to the rear wheels.